This breezy memoir by the veteran actor is filled with funny show business anecdotes and also with passionate insights into a life in the theater. A good audition is one in which the actor finds a way to bring some real piece of himself to the proceedings. The lines don’t matter. Those doing the hiring have heard the lines before. What they need is a human being of flesh and blood to play the part. That advice is among the numerous practical insights and observations Tony Roberts offers in his breezy memoir Do You Know Me? Since 1961, Mr. Roberts has appeared in 23 Broadway plays and musicals and was nominated twice for Tony Awards. Annie Hall was the most prominent of the six Woody Allen films he was featured in. A regular role in a soap opera, a guest shot on The Love Boat, seven pilots and one cancelled show, are among the highlights of his television career. The understudy came up to bat and smacked the ball to the outfield for what looked like an easy single. As he rounded first, he saw a chance to stretch it into a double and headed full-speed for second base. He and the ball arrived at the same time and suddenly he was writhing in pain and holding his ankle. His teammates rushed to attend him, but I just sat there. Could this be happening? Could this actor’s bad break be my big break? It was. Due to that actor’s injury he was hired to replace Redford during his vacation and then when he later left the show. That brought him to the attention of Woody Allen who cast him in his Broadway comedy Don’t Drink The Water and was the beginning of their beautiful friendship. That play’s legendary producer David Merrick later cast him in four other Broadway shows. “I was trying to choose the best projects available to advance my career and the options varied. More often than not, they were merely a chance to tread water.” Over time treading water included a low-budget horror movie shot in Jamaica and being a replacement in several Broadway shows and touring. A high point of his later career was his awesome performance as the blind Hamm in Samuel Beckett’s Endgame at Off-Broadway’s Irish Repertory Theatre in 2005. Strategically absent from the book are in-depth personal details or “score-settling.” One marriage and one divorce, a child, his sister, financial troubles, and health woes are mentioned often briefly. 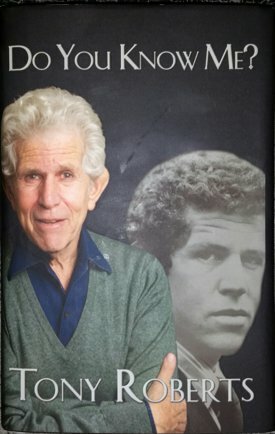 Though Tony Roberts’ background was privileged and he entered show business in a different era, Do You Know Me? has a universality that all aspiring actors could relate to and anyone else could enjoy the book’s entertaining combination of wryness, idealism and humor. 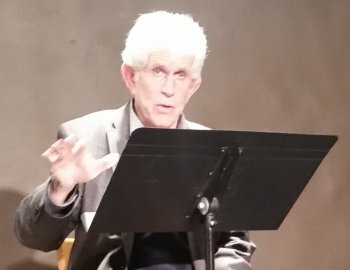 On December 15, 2015, Tony Roberts appeared at an event at The Drama Book Shop in New York City to promote Do You Know Me? He read from the book, took questions from the audience and did a signing of it. His animated, charming and droll presence and highly expressive voice amply demonstrated why he has had such a prolific career in the performing arts for 55 years.